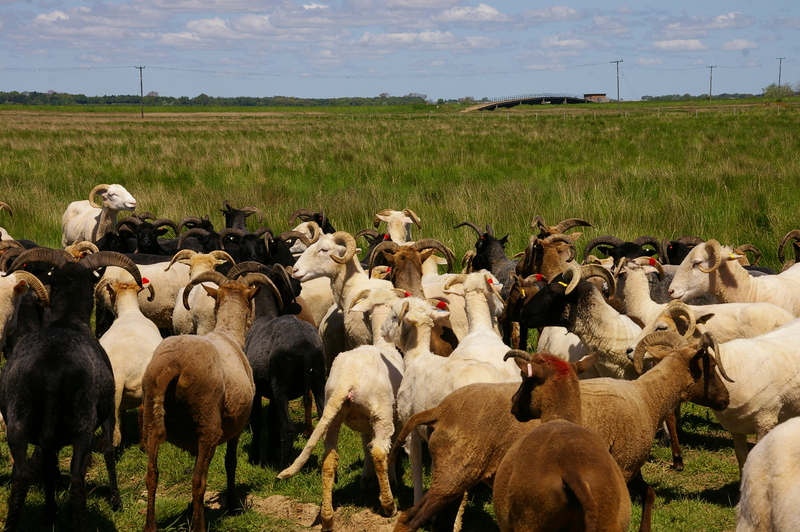 These rare breed sheep are Whitefaced Woodland, Portland and Hebridean. 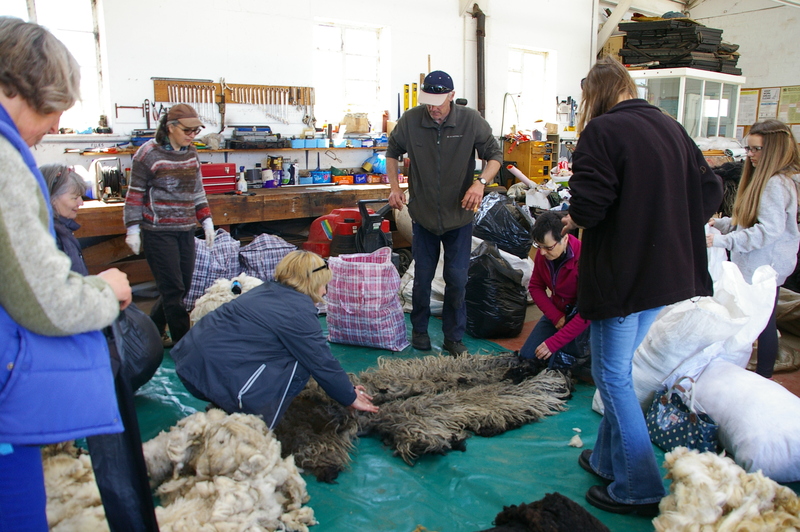 We are all keen spinners and love a freshly shorn fleece so there was no stopping us delving into the big bags of creamy, soft wool just sparkling with lanolin. We had come prepared with large bin bags and wet wipes so no worries there. Sorting the fleece and dividing it up always takes a lot of onlookers and lots of advice from all concerned. This is a Hebridean fleece from a young sheep. After we had all chosen one more extra fleece than was on our list the shepherd took us for a short trip across the island to see the sheep themselves grazing on this very windswept and treeless expanse. The shingle just goes on, mile after mile and you feel you have travelled a very long way from the green fields of Suffolk. A great day out. 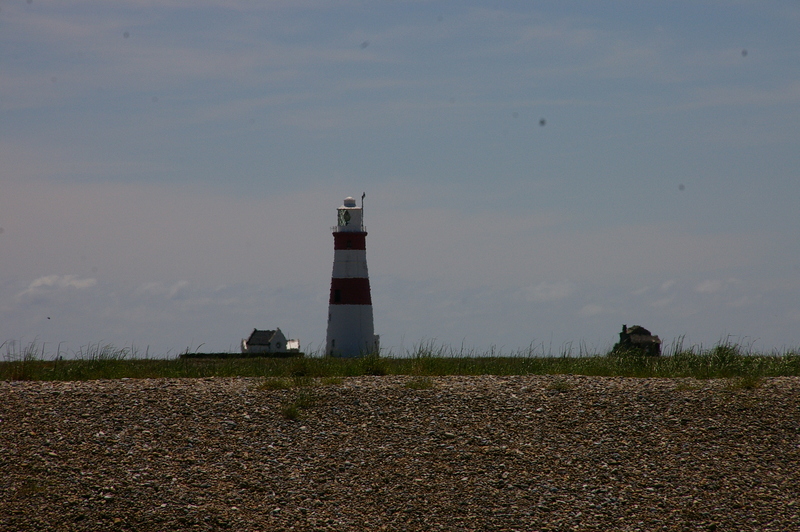 Orford Ness is now owned and managed by the National Trust having been off limits for nearly fifty years when it was being used by the military. 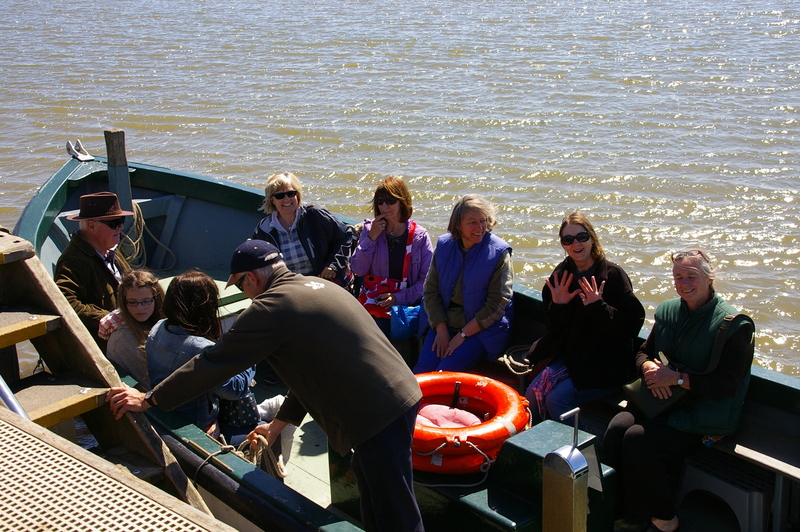 You can now come and visit during the summer months when crossing over the River Ore in the ferry boat all adds to the charm of the place.